Nero nodded, with quite a notable smirk, in silent agreement with the ancient Lahmian. "Aye.. Plan or no plan. We can't stay out here." Nero said, not too happy about not having a plan but convinced by Kemsenefer to just go with the flow. For some reason the ancient being was one of the few members of the group Nero respected for the fact that they were older. Wisdom came with the ages and so far no one but her and Doru managed to convince him they were subject to that unwritten rule. Petru Tsura declined to shake Montel's hand, instead giving him a polite nod. "There is no bond, or trust between us. My people respect and fear you, though I am a bit too old for the latter. However you do it, just get it done. And remember, it is bibaxt, bad luck, to cross the Strigany." The Lahmian's intrusion shook Doru from his daydreaming. It unsettled him, but he did not let it show. Doru gave him a nod to show that he understood. Montel was right, they had to move. Doru had expected little from the young Lahmian, but he had been surprised once again. Montel was able to show a restraint that many of his bloodline lacked, and he'd handled the Strigany like a professional diplomat. Doru was beginning to respect the Lahmian, though he was careful to keep such thoughts hidden. Doru stood and gave a quick bow to the petru. "Yes, we need to move before the sun finds us unprotected." Boldo called for two of his men and they set off, back towards the trees. They halted at a rather unremarkable pile of large stones. The domnu gestured and the two men walked up to mound, set their shoulders against one of the boulders and pushed hard. The stone slowly rolled aside to reveal a small door of rotted wood and iron. The rusty metal squealed in protest as one of the men hauled the door open, revealing pitch blackness, followed by the faint smell of sewage. The petru cackled, "Only an imperial would dig himself an escape hole and then forget about it. We found it years ago." Boldo lit his pipe to clear away the odor, blowing puffs of smoke as he tried to recall the layout of the tunnel. "Should be eh... straight shot into city. Just dirt, not so bad until you reach sewers. Take first left, keep hand on wall or you get lost. Another left and then eh... right. That should put you in slums, no one notice you, like ratmen climbing out of hole. And hope you don't meet any of those." The burly Strigany chuckled at his joke. Doru felt no amusement as he peered into the darkness. He was prepared to take certain measures to sneak into the city, but trudging through sewage had never crossed his mind. He turned to the others, "Well then, who wants to be first?" "I will unless you lot cannot end your squabbling ere the night grows stale.” said Lukas. He had grown annoyed with the others petty arguments over how to dispose of the guard captain. He did not really care about how it was done though he would see the captain dead, as he had told the Strigany that he would make it so. And without another word he entered into the tunnel. Nero snorted at yet another pointless sentence escaping from the knight's mouth. Pathetic.. He thought to himself as he couldn't be bothered keeping up his Lahmian spell of concealment and changed his form back to the ghastly wraith he usually wondered about as. "Thank you for the information Boldo." Nero said, his voice once again sounding like the grinding of bone on bone. Nero gave a small nod the the Petru before going after the Knight into the black of the sewers. "Someone's gotta watch the brawl.. See if it doesn't hurt itself 'eh.." Nero said, disdaining of Lukas and hoping the knight would hear it and take offense. Kemsênefer sneered at Tsura's words. Bad luck to cross the strigany? Surely it is they were the unfortunate ones to be so pathetic as to require the help of vampires to get their own work done. It was indeed fortunate that she did not believe in luck, but fate instead. "Zhat smells vile." Kemsênefer stated as the sewer opened, though it could also have been Nero's 'true' form that emitted the stench; she made no indication of this thought. Wordlessly, she stepped into the sewer, her eyes able to see in the dark without the aid of torches. Boldo raised his gun and kept it pointed at Nero as the Necrarch dispelled the illusion. The domnu shook his head slowly, muttering prayers against evil. "Mamioro... Go, do not come back here." The petru waited for the others to descend before calling out to Josef. "We pray, Ushoran guide you, do not forget the promises made to your children, Father." Doru ignored the man and followed Kemsênefer and Nero into the darkness, not waiting for the rest to follow. The tunnel was wider, and taller than he expected. He was able to walk beside the Lahmian, keeping his head ducked to avoid the beams that supported the ceiling. Doru smiled. "Not exactly fit for Nehekharan royalty I suppose." He heard splashing from up ahead. "Ah, it appears that Lukas has found the sewer. Hopefully it isn't too deep, he might sink wearing that armour..." As Doru reached the end of the tunnel, he saw Lukas and Nero wading through the water ahead of them. Almost waist-deep. "Lovely." Doru made a face, and stepped in. The cold had little effect on the undead, though he wished the same could be said about smells. He tried to ignore it, focusing instead on the tunnels, and remembering Boldo's directions. Out of the corner of his eye he caught movement in the dark. He blinked, and it was gone. Doru stopped, calling for the others to halt. He saw it again, there, a shape was slinking along the edge of the sewer. He recalled the domnu's joke and cursed. From further down the tunnel he heard the sound of a blade being drawn and knew that Lukas had seen them too. "Skaven!" Lukas Samson - Engaged with 3 Skaven. Nero Bellum - Engaged with 1 Skaven. Kemsênefer - Engaged with 1 Skaven. Doru von Carstein - Engaged with 1 Skaven. Montel Preznant - Free to act. Lukas sees the ratmen moving in the dark of the sewer and drew his long blade to fight off the inevitable ambush even as Doru raised his voice in warning. In moments he was beset upon by three skaven "weaklings", they are so weak that they don't deserve that the title of warrior, who chittered their high pitched war cries. Lukas gave them a bestial smile that showed off his fangs and prepared to gut his pathetic foes. Kemsênefer shook her head, grinning slightly. "You are mistaken. I am not royalty; infact, quite far from it." She made a face as they waded into the sewer, poorly masking her disdain. She grinned as she saw ratmen appearing from the end; something that would finally take her mind off the stench. Uttering a dark chant, she summoned a hand to rip one of the skaven to pieces. Kemsênefer uses Dark Hand of Death on the skaven coming towards her. Nero sighed. "I thought these things learned to fear us? Can't they smell that we're dead?! I can certainly smell I'm dead!" He snarled, frustrated by the rebellion of these pathetic little things. Nero hated skaven, he had hated them since his first encounter when he was small and very much alive. "Stoopid overgrown rodent.. Die!" He snarled out again, in his mind rephrasing the sentence into "Nex" to cast out his signature spell. Nero uses Unholy Cynosure and Death And Decay to kill as many skaven as possible. Montel found himself in what could well be the worst situation he had ever found himself in. A lot of his combat prowess was undone by the fact he was practically swimming currently. Growling, he decided it'd be best to let the rest handle the situation whilst steering clear of the combat. Skaven definitely weren't the bravest creatures around, so there was a chance he'd manage to avoid fighting at all. Montel emits an aura of terror using Mind Control, hopefully scaring some of the Skaven off and at least keeping them from engaging combat with him. Josef caught the foul scent of the ratmen just before they attacked the group buit it was too late to issue a warning. While those at the front of the group were caught Josef was free to act as he wished. He clenched his fists before staring into the shadows around the group for further signs of the skaven but it seemed they would only appear when they wished for it. "Die Skaven." Josef roared before letting out a deep growl before lunging forwards with a great speed towards those feral beats nearest to him, his hands ready to tear limbs from their flesh. Lets out a roar and then lunges in using the Graceful Swiftness and the Bestial Cunning to assist in fighting in the tunnels. If the oportunity arise he will steal one of their weapons to use against them, until them its good old fisticuffs. Wading along at the back of the group, Anais restrained the urge to scowl at the situation that she found herself in. She might not be as concerned with status and dignity as certain of her von Carstein peers, but she was still a product of her class. And that class did not make her ready or willing to enjoy the experience of wading through the sewers of an Imperial city. She was happy that she’d had the foresight to wear a riding dress for this trip, and she also appreciated that this was the easiest way into the city – but that did not mean that she was going to enjoy it. Of course, her training and nature made sure that her opinion was hidden firmly behind a neutral mask. Like the others, she focused on ignoring the stench of the waste around her, reassuring herself with the rewards that awaited at the end of the road. However, being at the back of the group also meant that she did not see the creatures lurking nearby until Doru shouted his warning. Her eyes narrowed. A scholar in her own right, Anais had come across the tales of the Skaven, but she had always believed them to be a myth, as tradition had it. Of course, she recognised the irony of a vampire believing anything to be a myth and had tried to keep an open mind, but it was still slightly disturbing to finally encounter the rat creatures in the flesh. Still, it did not bother her, and none seemed to be near her. Still, Anais drew her pistol and sword in readiness. At the same time, she slipped closer to Montel, drawing herself up and adding her own presence to his. Perhaps together they would have a better chance of warding off the Skaven while the rest of the vampires fought them off. Anais will move closer to Montel and use Dark Majesty to try and help him keep the Skaven away from them. OOC: Some very lucky and unlucky dice this turn. Three criticals (crit. Successes for Nero and Montel, a crit. Fail for Doru ). The Skaven advancing on Lukas are fast, darting in to attack with claws, teeth, and crude weapons. They manage to inflict only one wound. Lukas strikes back just as quickly, his blade cutting clean through one of them. The others quickly learn their lesson and back away until reinforcements arrive. Kemsênefer reacts more quickly than her opponent, and the Skaven is struck down by ancient magic before it can attack. Doru slips on something in the muck and loses his balance. The ratman seizes the advantage, sinking its dirty fangs into the Doru’s arm as he struggles to get to his feet. He shakes off the clinging vermin but is unable to strike back. The Winds favor Nero as he casts his spells. The Skaven facing him crumbles to dust in seconds. The two ratmen who escaped Lukas’s blade suffer a far worse fate as their flesh dissolves, their bones sinking into the muck to join countless others. Josef tears into the Skaven attacking Doru, making short work of the rodent and saving the Von Carstein from further embarrassment. Anais and Montel don’t have to dirty their hands, as the nearest Skaven are gripped by fear. None of them seem eager to attack two vampires at once. Doru cursed as he lost his footing, and again as he felt the vermin’s teeth bite into his arm. A sewer was no place to be fighting a battle! He hauled himself up and flung the Skaven off, just in time for Josef to catch it and tear it to shreds. Doru did his best not to look embarrassed, not an easy task when he was covered in sewage from head to foot. He looked for more Skaven, prepared to take out his anger on the nearest one. More were emerging from the darkness, though they were more cautious after realizing the nature of their foes. The ratmen would have been no match for the vampires, but as Doru had found out for himself, the terrain was working to their advantage, and there was also no way to gauge their numbers. He saw that Anais and Montel had the right idea, using the Skaven’s fearful nature against them. Hopefully if the others killed enough of them, the ratmen would get the idea. “We need to end this, quickly!” The sun would be rising in a few hours, and Doru could think of nothing worse than being trapped in the sewer with a horde of Skaven till nightfall. Lukas Samson - Engaged with 4 Skaven. Kemsênefer - Engaged with 3 Skaven. Doru von Carstein - Engaged with 3 Skaven. Josef Kharnulf - Engaged with 2 Skaven. OOC - grrr... damned computer just deleted my post *grumble, grumble* I'll re-type it in a bit. If you need an idea actions include hurling body of dead skaven at still living skaven then letting loose a nice little roar. Lukas was able to fend off his three chittering foes although he did take a minor wound from the bite of one of the pathetic vermin. Lukas promptly dispatched the offending ratman by bissecting him completely to vent his annoyance. Seeing this the other two retreat but as they head away from the combat they begin to dissolve due to the magic of one of Lukas's fellow vampires. It is not long before more ratmen group togethor for yet another attack. This time four ratmen engage Lukas hoping that their numbers will allow them to prevail. Kemsênefer raised her staff, muttering a curse in ancient nehekharan and pointed it sharply at a single skaven running towards her, a hand coming down and swiping the ratman into a bloody mess as it gets smashed into a nearby wall. Eyeing three more skaven coming towards her, she moves into a battle stance, twisting her staff around and muttering the same curse. Montel appreciated having Anais by his side, making it easier to keep the Skaven at bay. He normally liked a challenge, but that was when he had freedom of movement. Better suited as diplomat, the Lahmian decided to try and find reason with the Skaven's frightful nature. With the casualties they've already suffered they'd surely welcome a reason not to fight. "Skaven!" Montel's voice boomed through the sewers, a commanding and irritated tone accompanying it. "We hold no interest in your kind, we seek passage into the city above. Leave us and you shall live." Montel paused for a moment, staring into the skittish eyes peering from the darkness. Then, widening his eyes, the Lahmian decided to give the ratmen a final nudge by roaring his demand. Montel attempts to intimidate the Skaven using Mind Control, scaring them off into the depths of the sewers so the party can continue. A brief moment after the surge of death magick coursing through the sewage pipe Nero started laughing manically. "Did you see that?!" He screeched out, his voice sounding even more insane than usual. "Now die!" He continued in the same disturbing tone. As if created by the grinding of Nero's ethereal bones "Nex!" followed by more laughter resonated through the tunnels..
One particularly brave ratman sprang at Josef, its claws and fangs sinking into the Strigoi’s flesh and causing wound. Josef was quick to strike back, crushing the life from the creature. The second skaven wisely backed away. Lukas swings his sword in a wide arc, inflicting wounds on two of the Skaven, while keeping the others at bay. Unable to reach the warrior vampire, the ratmen chitter in frustration and fear. One Skaven slips in close as Kemsênefer prepares her spell, its claws inflicting one wound. A burst of dark magic is its reward, and a second Skaven falls, a large hole blasted through its furry chest. No Skaven is brave enough to approach the cackling Necrarch, but two are unlucky enough to be caught by the necromantic energy flowing from Nero’s fingertips, and are quickly reduced to a pile of bone and dust. Doru’s own bad luck continues as the three Skaven rush him simultaneously. A flurry of claws, teeth and rusty metal inflict two wounds. The Von Carstein redeems himself, however, slaying two of his foes. The words of Montel, aided by Anais’s formidable presence as well as his own, succeed in breaking the morale of the ratmen! Doru felt pain course through his undead limbs as the Skaven rushed him, biting, scratching, and stabbing whatever they could. He caught one by the throat and squeezed, digging his fingers into the vermin’s windpipe, the sensation of crushing the life from the creature almost enough to make up for his previous embarrassment. He slashed at another with his blade, blood spraying across the stone walls. The third Skaven turned to slink away into the darkness. He heard Montels voice booming through the cramped tunnel. Nero’s mad laughter was almost as intimidating. A high-pitched squeek came from somewhere in the dark. “Not fight-fight dead things anymore! Go up into city, kill-kill man things, leave us alone!” Doru sighed in relief. He had not doubt that they would have beaten the ratmen, eventually, but it was a costly waste of time. In the lead, Lukas took a moment to get his bearings, and headed for the exit the Strigany had told them of. The Blood Dragon tossed aside the metal cover climbed out onto the street. The Domnu had been right, they had emerged in the city slums. Crumbling buildings and homes lined the street, which was mostly deserted aside from a few people. If any had noticed the unusual sight of seven vampires emerging from the sewers, they were smart enough to pretend they hadn’t. Last edited by Amun-Lothain on Thu Apr 08, 2010 12:31 am, edited 1 time in total. Montel stared in the distance as the Skaven retreated, inwardly content by winning without having to do as much as lifting a finger. As they arised from the sewers, the Lahmian was pleased to see some familiar territory. He would visit some of his old acquaintances to get some information on Nuln's recent activities soon. The vampire nodded as Doru spoke. "Unless things have changed a lot since I was last here, I know some people who would welcome or at least tolerate our prescence. I vouch for Doru, Anais and myself to be the persuasive and investigative team. We don't draw as much attention and are best suited for a situation like this." Montel paused, looking at Anais and Doru before continuing. "Keeping to our end of the deal with the Strigany shouldn't be too difficult." the Lahmian then resumed. He had a plan in mind for the guard captain, but he wasn't about to share it with the rest just yet. "I gave my word that the guard captain would die so why not leave it up to me? I doubht that this man will be hard to find. Josef could accompany me as well. For against the two of us no matter what protection this captain has he would surely not live to see the sunrise." said Lukas. His words were brief and to the point as they usually were. Doru was about to agree with Montel when Lukas spoke. "I have no doubt you and Josef would succeed, and it would certainly deflect suspicion from the Strigany, but if you are seen the suspicion might be directed at us." He shrugged. "Do as you will, but take care not to lead them back to us." "Any of us can kill a guard captain and his lackeys, that's the easy part." Montel said, looking at Lukas. "The harder part has been stated by Doru, but that shouldn't be much of a problem." He paused for a moment, shaping the plan in his mind into words. "A city like Nuln has several thug hideouts, I can easily find out about the whereabouts. With a little scheme we can most likely lure the guard captain to a rescue mission, in the form of a damsel in distress held captive by thugs of some sort. We lure him there, slaughter him, and the guards will suspect gang members to be involved." Montel said, looking around him for any objections. "We might have to kill a couple of thugs in the process, but as soon as the guard captain's dead we can leave the scene. I'd like to see some thugs try to explain to the guards how their captain was killed in their territory, whilst they were victims as well. And with some luck the guards will occupy themselves with their thug problem, making it easier for us to move about unnoticed." "If you are so confident in your plan then go ahead and proceed with it. If you require my sword let me know." said Lukas almost sounding bored. Since joing this group all his foes had been weak men and even more pathetic ratmen none of whom had presented a challenge. He hoped that they woud encounter a worthy foe soon or else he might as well have stayed in the Border Princes. Kemsênefer nodded once at the sound of the plan, but then raised an eyebrow. "A sound plen. But I see one flaw - Why exactly would a common thug ally vith us or trust us? It is not like ve can conzeal our true identity for extended periods. And, assuming zhey are foolish enough to accept an alliance, vhat's stopping them from killing us after? Vould zhe guard not be suspicious if they spot all ze guards and Thugs lyink around, dead?" Her lithe fingers curled around her staff. "It could be pulled off - It could be our only option. But I vould not be so arrogant as to underestimate everyzhink in our path, young Montel." She said, a sinister grin peneratrating her veil. Montel laughed heartily, in a way which was only warm to kindred spirits. "I'll admit straight away that arrogance might be a flaw of mine, but you overestimated the scale of my plan. I wasn't planning on making pacts with anyone, I merely intend to use their territory for the killing. Some beggars or other lowlives are bound to know the whereabouts about gang territory, and they certainly aren't the hardest folk to convince with sharing information. Once we know what we want, we could even kill him or her to prevent them from talking of our presence, no one would miss them. I could potentially scan the area, then we lure the guard captain there one way or the other and kill him. As soon as the guards investigate and discover it's gang territory, they're likely to be pointing fingers towards them. We just need to make sure that we don't leave fang marks on his corpse." 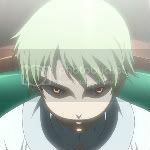 The Lahmian's eyes narrowed slightly as he went through his plan again, carefully going through each phase with his faceless victim. Apparently coming to a conclusion, he nodded slowly and continued speaking. "Plans are likely to have flaws, and as much as I despise it I know a perfect plan doesn't exist. We can end up in a fight with thugs, in which case I suggest we retreat as soon as the guard captain is dead. If Doru, Anais and I show up at the guards and point our fingers at the thugs, they'll believe us before they trust thugs and scum. If they find guard and thug bodies, they'll assume there was a battle between them and that the thugs had won and fled the scene. If we fail to convince the captain to come along we can force him, or if all else fails we can kill him on the spot along with any lackey that's likely to be by his side." He paused, a little smirk playing on his lips. "There's no such thing as a perfect plan, but several good ones tend to make up for that fact. Worst case scenario we'll have to improvise, and we've been good at that thus far." Anais nodded in agreement with Montel’s plan, a slight smile flickering across her lips as she contemplated what he had in mind. It fitted perfectly with the diplomat’s preferences in that it was unlikely to lead back to her and it also fitted in well with her own talents and skills. Luring the captain away and killing him under pretence of a street brawl would draw far less attention than if they simply strolled in and killed him. After all, while a Blood Dragon might believe such was simpler, she was wise enough to know that it would merely be making trouble for themselves in the future – for obvious signs of supernatural killings would no doubt bring the witch hunters. As with any good vampire, Anais did not fear the mortals, but she did prefer her unlife to be comparatively quiet and simple rather than having to flee mobs of torch bearing mortals. Doru wasn't sure of Montel's plan at first, it involved more than he would have wanted, but if it worked, it would remove suspicion from both themselves and the Strigany. He listened as the rest of them spoke. Anais's suggestion caught his attention. "That may work... and it could be useful later should we need to explain ourselves to anyone. Let us follow Montel's plan, then. Time is short, and we have other matters to attend to, so I suggest we divide our efforts. Montel and Anais will be sufficient to lure the esteemed Captain to his fate, and I trust Lukas can make sure he meets it, along with any other unwanted witnesses. Meanwhile, Kemsênefer and myself will see if the locals know anything about the caravan's arrival. And I'll see what I can do about securing a room for the day, and perhaps some more presentable clothing." And not necessarily in that order, he added to himself as he looked at his torn and soaked clothes. "If we are all in agreement, I suggest we get moving." Kemsênefer nodded once at their words. "Hrmf. I suppise it vill hef to do - I don't have a better plan." She shrugged. "I vould be heppy with information-gatherink. It should prove simple enough, though I may need some different clothink." With that, she looked at her Nehekharan burial garb, another slight shrug. It took a while for Nero's mind to calm down from the slightly maddened frenzy in the sewers but when it did it heard the words of Doru. 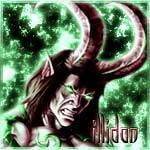 Nodding in silent agreement he flicked through his grimoire in search of one of his spells. As he found it he started to utter the words. As the near unpronounceable incantation was finished he pointed at Doru, assuming the ancient Von Carnstein had already recognized what he was doing.